As mentioned before, this trek to accrediting PATH Intl. certifications is driven by the strategic vision, developed with member input, to increase the professionalism of the field and bring a greater legitimacy to PATH Intl. credentials. A bylaw addition is a critical next step. We introduced you previously to the concept of a credentialing council, shared the pending charter and invited members to apply to join the Credentialing Council Development Workgroup. Today we'd like to share further information about why a bylaw change is necessary to create this certification division of PATH Intl. and how membership and credentialing organizations differ. While certification organizations are rooted in protecting and serving the public, membership organizations serve a select group of individuals or profession. Members join to advance themselves and their profession. It can be difficult to effectively serve the needs of these two varying populations as PATH Intl. has been doing to date. Therefore, certification organizations need to have the autonomy and independence to focus on serving the public. While some organizations spin off new, separately incorporated certification bodies, PATH Intl. has chosen to keep the credentialing arm of the organization within the current structure. This independent credentialing division within PATH Intl. will have autonomy in running the certification programs. Think of it as a dotted line between the PATH Intl. Board of Trustees and the credentialing arm. This will certainly require a revision to the current staff and volunteer organizational charts and requires a bylaw change that the membership will vote on at the 2016 PATH Intl. Annual Meeting. These changes can be thought of as building a firewall between PATH Intl. and the association's certification program to ensure that the certification program is operating with autonomy and in the best interest of the public. To learn why bylaws change votes happen at the annual meeting, click here. Please click here for the credentialing council bylaw addition. 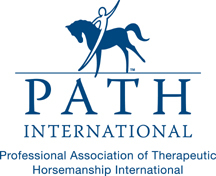 For questions/comments regarding the addition, please contact Kathy Alm, CEO PATH Intl. A webinar will be offered to further explain the credentialing council bylaw amendment, Wednesday, September 28th at 3 p.m. Mountain/5 p.m. Eastern. It will be hosted by Adrienne Segundo, IOM, Credentialing Specialist, Chairman/COO I Limitless Association Solution Resource, LLC, and moderated by PATH Intl. CEO Kathy Alm. Click here to register for the live webinar. The recorded version will be available one week later. 1. Watch for future updates and the official member notification of the bylaw vote and changes. 2. Visit the webpage Accrediting the PATH Intl. TRI Certification for a great and growing list of answers to questions submitted by members. You may have wondered the same thing as your colleagues! Until next time, thank you for being an engaged member in this extraordinary association and for the important work you do every day in the field. It's an exciting time to be part of PATH Intl. If you have questions or feedback about this accreditation process, we have opened this feedback link where you can leave your comments and if required, someone will get back to you. Please direct correspondence about this communication to the PATH Intl. Communications Coordinator. If you prefer not to hear from us, click on the "safe unsubscribe" below and we will remove you from our mailing list. Removing your email address from the PATH Intl. member database will prevent you from receiving all email correspondence including event notices and other time-sensitive correspondence.